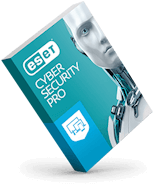 Partner with ESET, the consumer security software vendor with one of the lightest system footprints and highest virus detection rates in the industry. Earn when a visitor clicks to ESET from your site and buys. As an ESET affiliate, you can market ESET products and special offers on your website using any of our approved methods and advertising resources. 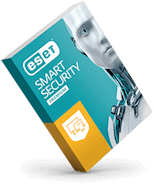 Every time a visitor clicks through from your site or marketing vehicles to the ESET online store and makes a purchase, you'll receive a commission of 20% or more on the sale. We utilize a 45-day cookie window for your conversion to occur. We provide special holiday discount codes along with long-term offers that can help drive your program performance. Our global software company offers a premium product and existing market demand. ESET uses Commission Junction to provide sale tracking links and banners to our affiliates. Getting started is simple. Complete our short application form and once accepted you will receive an email with details on how to generate your affiliate links to start earning commissions. The ESET Affiliate Program is offered through Commission Junction, an online advertising and Internet marketing company that specializes in affiliate, media and tracking services.If you are not already a member of Commission Junction and want to become an ESET affiliate, please click the button below to access our sign up form. 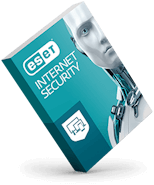 Sign up for the ESET Program directly through the Commission Junction Member's Area. Your website must be free of illegal, offensive, questionable or low-quality content or links to sites containing such. Affiliates should ideally have a working, top-level domain (i.e., www.yourdomainname.com) with content focused on a North American audience. Affiliates without a recognizable business model may be denied acceptance into the program. Affiliates who engage in PPC campaigns to promote ESET must strictly abide by our PPC policy. ESET affiliates are not permitted to bid on ESET's trademarked terms or any variations or common misspellings including: ESET, NOD32, ESET NOD32, NOD 32, Smart Security and ThreatSense. Failure to abide will result in termination from the program. ESET.com accepts orders from customers located in the U.S., Canada and Caribbean only. You may be located anywhere in the world, but your site and marketing activities must be focused on the North American market.